The tribes of the Andaman Islands – the Jarawa, Great Andamanese, Onge and Sentinelese, Shompens – are believed to have lived in their Indian Ocean home for up to 55,000 years. They are now vastly outnumbered by several hundred thousand Indians, who have settled on the islands in last 100 years. What is particularly vulnerable tribal group (PVTG)? The Dhebar Commission (1960-1961) stated that within Scheduled Tribes there existed an inequality in the rate of development. 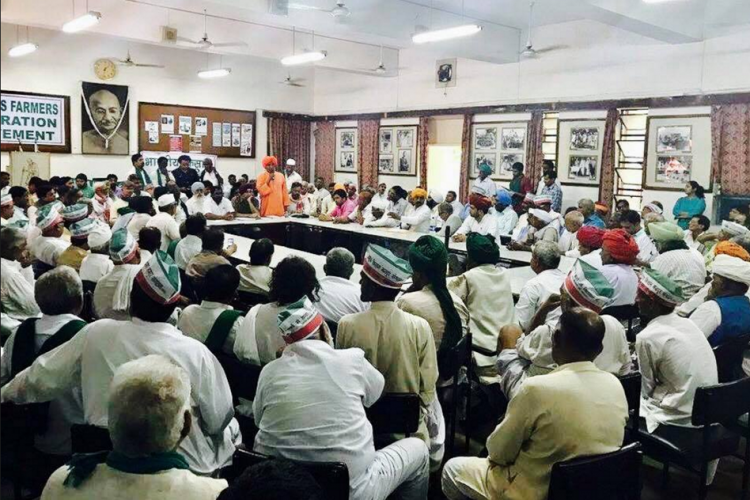 During the fourth Five Year Plan a sub-category was created within Scheduled Tribes to identify groups that considered being at a lower level of development. These tribal have been rehabilitated in a small island named Strait Island. 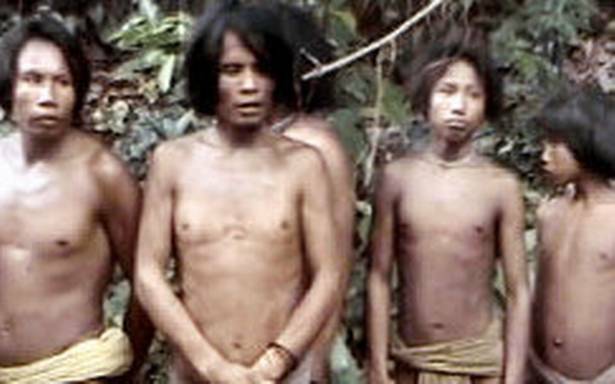 They were once the largest in population amongst the various tribes inhabiting the Andaman Islands. By 1969, their number had reduced to 19. But today, just 53 Great Andamanese people survive. The Great Andamanese were foragers. Today, they eat modern food items but still go for hunting and gathering. Lately some of them have taken to cultivating vegetables and have also established poultry farms. The Great Andamanese – as today they are collectively known – were originally ten distinct tribes, including the Jeru, Bea, Bo, Khora and Pucikwar. Each had its own language. Boa Sr. the last member of the Bo tribe died in 2010. The Bo was the last of the ten tribes to come into contact with the British. It took little more than a century for up to 55,000 years of human history to be wiped out. They are vulnerable to communicable diseases besides unhealthy drinking habits, acquired after contact with the non-tribal, urban, dominant and advanced communities. The Sentinelese tribe is lived on North Sentinel Island for up to 55,000 years and has no contact with the outside world. They are probably the world’s only Paleolithic people surviving today. They vigorously reject all contact with outsiders. The Sentinelese is very hostile and never leaves their Island. Very little is known about these hostile tribes. 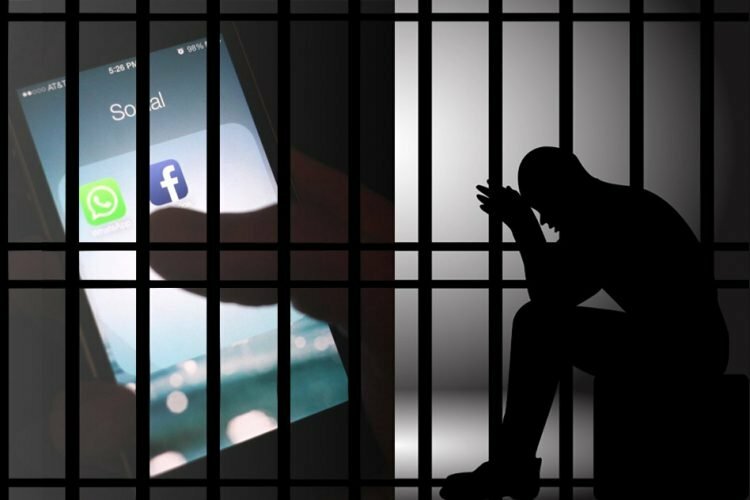 Their extreme isolation makes them very vulnerable to diseases to which they have no immunity, meaning contact would almost certainly have tragic consequences for them. Following a campaign by different organizations, the Indian government abandoned plans to contact the Sentinelese. It is vital that their wish to remain uncontacted is respected – if not, the entire tribe could be wiped out by diseases to which they have no immunity. The women wear fiber strings tied around their waists, necks and heads. The men also wear necklaces and headbands, but with a thicker waist belt. The men carry spears, bows and arrows. The Sentinelese hunts and gather in the forest, and fish in the coastal waters. The Sentinelese enjoys excellent health, unlike those Andaman’s tribes whose lands have been destroyed. 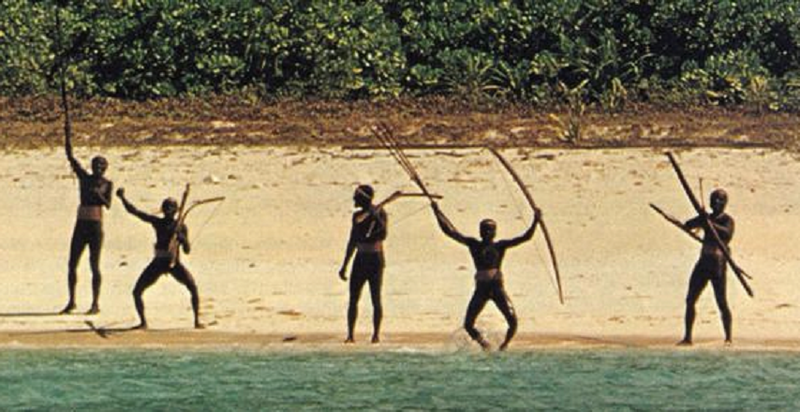 The Sentinelese attracted international attention in the wake of the 2004 Asian tsunami, when a member of the tribe was photographed on a beach, firing arrows at a helicopter which was checking on their welfare. Although commonly described in the media as ‘Stone Age’ this is clearly not true. 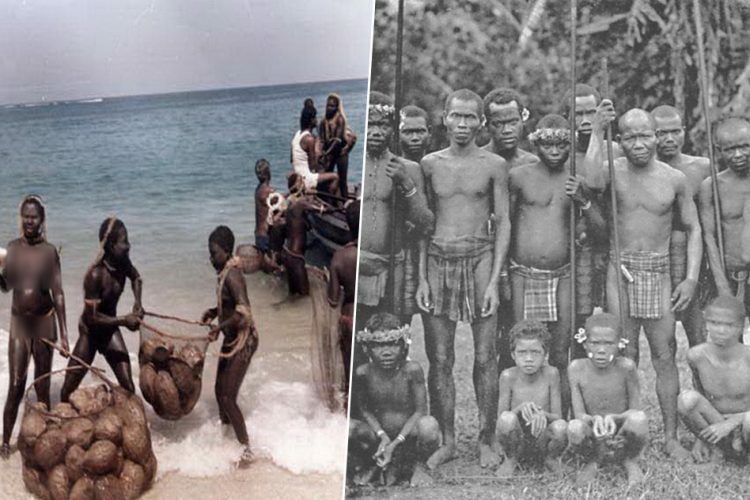 There is no reason to believe the Sentinelese have been living in the same way for the tens of thousands of years they are likely to have been in the Andaman’s. Their ways of life will have changed and adapted many times, like all peoples. What Problems do Sentinelese face? The Jarawa tribes with an estimated population of 341 inhabit the Western coasts of South & Middle Andaman islands. They are leading their normal life of hunting and gathering. They hunt pig, turtle and fish with bows and arrows in the coral-fringed reefs. During the honey collection the members of the group will sing songs to express their delight. A study of their nutrition and health found their ‘nutritional status’ was ‘optimal’. They have detailed knowledge of more than 150 plant and 350 animal species. In 1998, a few Jarawa started to emerge from their forest for the first time without their bows and arrows to visit nearby towns and settlements. A & N Administration had finalized a policy on the Jarawa Tribe of Andaman Island and is being implemented strictly to ensure protection and welfare of Jarawa. In order to ensure a rich resource of forest based traditional food like wild pig, turtle, honey and fish etc, the Jarawa reserve area has been increased from 847 to 1028 Sq. kms. Exclusive marine resource base has also been increased by declaring coastal water upto 5 km from High Tide Line as tribal reserve. Exclusive Wards at Primary Health Centre, Tushnabad, Kadamtala and G.B. Pant Hospital, Port Blair for Jarawa have been provided and such Wards are declared as tribal reserves to prevent curious non-tribal from interacting with them. A buffer zone of 5 km radius has been notified around the Jarawa reserve, to ensure that they do not become unwitting targets of large scale tourism or commercial activities. The principal threat to the Jarawa’s existence comes from encroachment onto their land, which was sparked by the building of a highway through their forest in the 1970s. Although India’s Supreme Court in 2002 ordered that the highway through the Jarawa’s reserve should be closed, it remains open – and tourists use it for ‘human safaris’ to the Jarawa. The tourists treat the Jarawa like animas in a safari park. The Andaman Trunk Road (ATR) brings outsiders into the heart of their territory. The ATR has also encouraged ‘human safaris’, where tour operators drive tourists along the road in the hope of ‘spotting’ members of the tribe. Poachers enter the Jarawa’s forest and steal the animals the tribe relies on for their survival. They have also introduced alcohol and marijuana and are known to sexually abuse Jarawa women. They remain vulnerable to outside diseases to which they have little or no immunity. In 1999 and 2006, the Jarawa suffered outbreaks of measles – a disease that has wiped out many tribes worldwide following contact with outsiders. The habitation of Shompens is the Great Nicobar. Like the Nicobarese, they belong to the Mongoloid race. Their Population is Only 229 (2011 census) and have very limited contact with outsiders. They live in about 12 habitations made of bamboo and leaf thatch. Like the Jarawa they are skilled hunter-gatherers but unlike them raise plantations of various crops and subsist primarily on them, besides honey and fish. The Shompens have two divisions, the smaller division being known as Mawa Shompens and inhabit areas very close to the coastal region along the river valleys. They are very shy. They are quite intimate with the Nicobarese. The major group of Shompens are the hostile Shompens living in Alexendra and Galathia river areas and also on the east coast of the area in the interior of the island. In the past, frequent attacks are believed to have been made on the Mawa Shompens by the hostile Shompens. But now such hostility has stopped. It is probably because they have been largely reduced in number due to various diseases. The Shompens are the victims of disease, and physically very weak. With the establishment of the settlement at Campbell Bay in Great Nicobar, Shompens have been visiting the settlers and they are gradually shaking off their shyness and indifferent attitude towards the civilized people. What problems do the Shompen face? 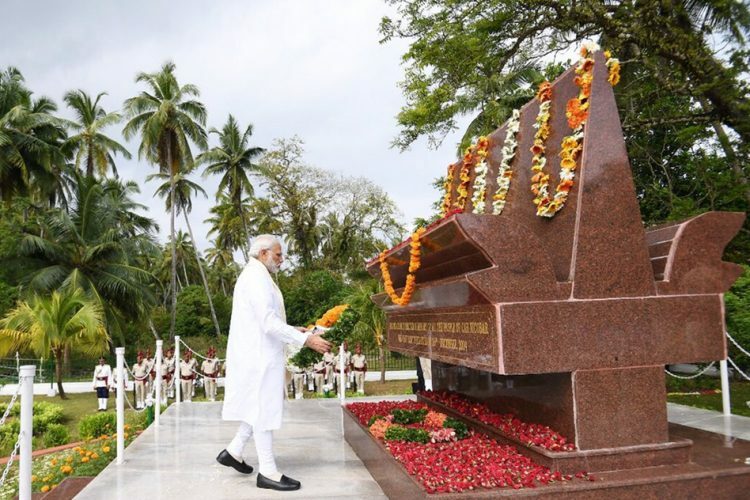 A major influx of population started in 1969 with the settlement of several hundred ex-servicemen from the mainland on the south-eastern coast of Great Nicobar, and a proposal to settle several hundred more on the western coast. Only 50 years down the line, their lands have been occupied, their forests chopped down, their animals hunted and they themselves outnumbered by people from an alien culture. Even more damaging, the East-West road (measuring 43 km in length) was constructed through pristine Shompen territory. Thus a tribal reserve area under the Andaman and Nicobar (Protection of Aboriginal Tribes) Regulation, 1956, was opened to outsiders. The construction and repair of the East-West road is an even greater threat to the Shompen. Onges are one of the most primitive tribes in India. They belong to the Negrito racial stock and have been relegated to the reservation at Dugong Creek in Little Andaman Island. They are a semi-nomadic tribe and fully dependent on the food provided by nature. They have now experienced the impact of outsiders, as efforts at befriending them have proved successful. They have been provided with pucca houses, food, clothes, medicine etc. by the Administration. They eat turtle, fish, roots and jack fruits etc. They have developed artistry and crafts. The Onges can make canoes. A primary school has also been functioning at the Dugong Creek settlement of Onges. The population of this tribe is stable and is at present 110. In 2013, many organizations campaigned to ban ‘human safaris’, the Supreme Court banned tourists from travelling along the ATR (highway) for seven weeks. After the Andaman Authorities changed their own rules in order to allow the human safaris to continue, the Supreme Court had no choice but to reverse the ban. 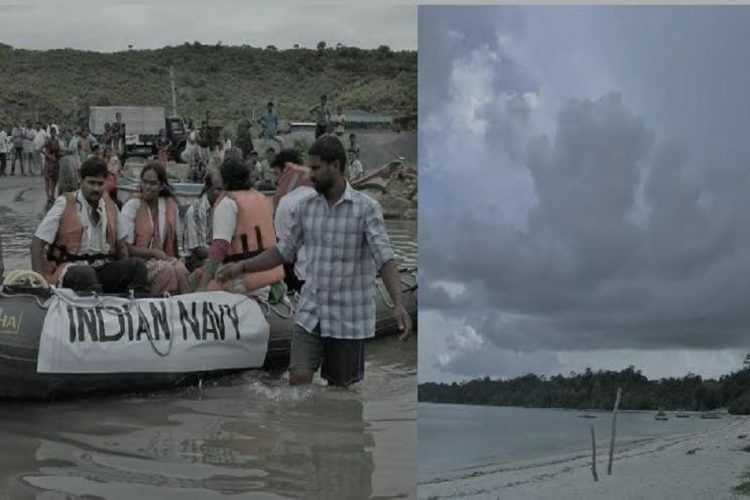 The Andaman Authorities have committed to opening an alternative sea route to Baratang by March 2015. This sea route would stop the human safaris as tourists would no longer have an excuse to drive through the Jarawa’s forest. Despite promises to the Supreme Court and pressure from different activist, organisations, the project is already running woefully behind schedule. 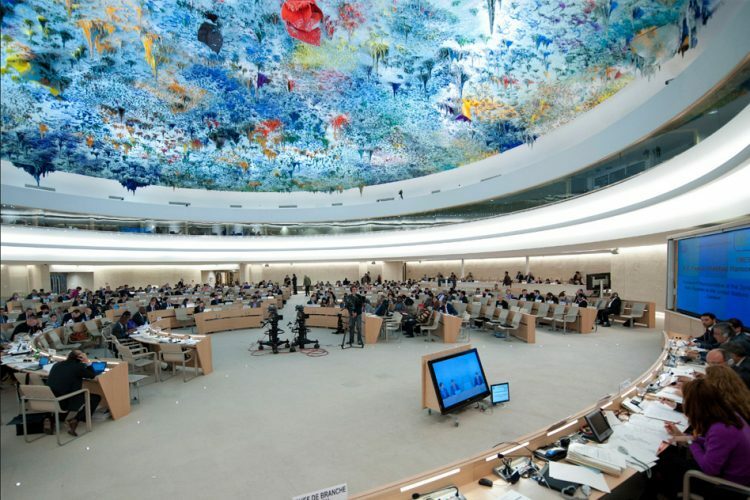 The Logical Indian community advocates neither isolation nor integration, believing – as with all tribal peoples – that they themselves are best placed to determine what, if any, changes they wish to make to their lives. Their land is properly protected from outside incursions. 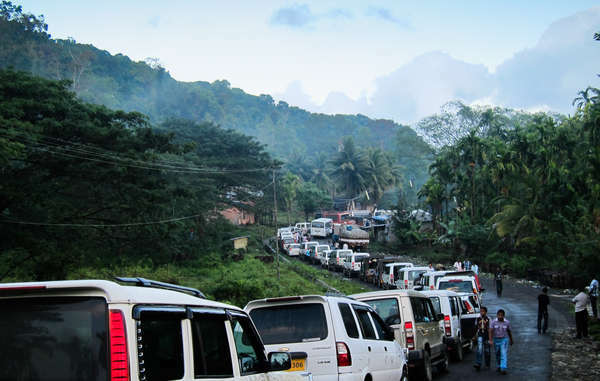 Authority to close the Andaman Trunk Road, believing that only the Jarawa should decide if, when and where outsiders traverse their land. Andaman authorities to clamp down on poaching and to ensure that those arrested are prosecuted. The Logical Indian community hopes for Sentinelese that Officials maintain their policy of no contact. Survival’s work for the Sentinelese focuses on pressuring India to stop illegal poaching in their waters, and ensuring officials maintain their policy of no contact.